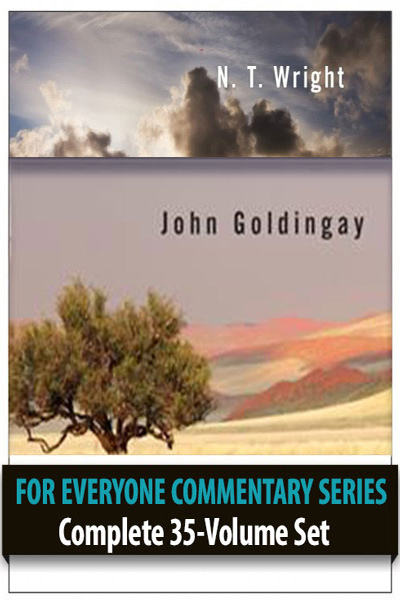 This commentary includes the seventeen-volume Old Testament for Everyone set from internationally-respected Old Testament scholar John Goldingay. From Genesis to Malachi, Goldingay addresses Scripture in such a way that even the most challenging passages are explained simply and concisely. Additionally, in the New Testament for Everyone set, Tom Wright continues his trademark of bringing the most up-to-date biblical scholarship to life with engaging writing, inspiring anecdotes, and faithful interpretation. These eighteen volumes are ideal for Bible study, personal devotion, and teaching. Tom Wright has undertaken a tremendous task: providing guides to all the books of the New Testament, including them in his own translation of the entire text. Each short passage is followed by background information, useful explanations and suggestions, and thoughts as to how the text can be relevant to our lives today. A glossary is included at the back of the book.